Over/under shotguns have been around for quite some time and are very popular with the upland hunter and competition shooter crowds. Barrel length is a major component when it comes to accurately hitting your target, but carrying those longer guns with 30″ barrels through the woods isn’t always easy. That’s when American Tactical created their Cavalry Turkey Fowl. The Turkey Fowl sports 21″ barrels, which means there’s a bit more recoil out of the 12 gauge than your typical over/under. I got my first glance at this little shorty shotgun while at SHOT Show 2018. Most shotguns are offered with dark colored wood stocks, this one caught my eye because the light colored wood along with the barrel length. After learning more about the Turkey Fowl, I was surprised to learn that American Tactical made barrel extensions that attach using the choke tube threads. You just take out the choke tubes, screw on the extensions, and put the choke tubes into the ends of the extensions. 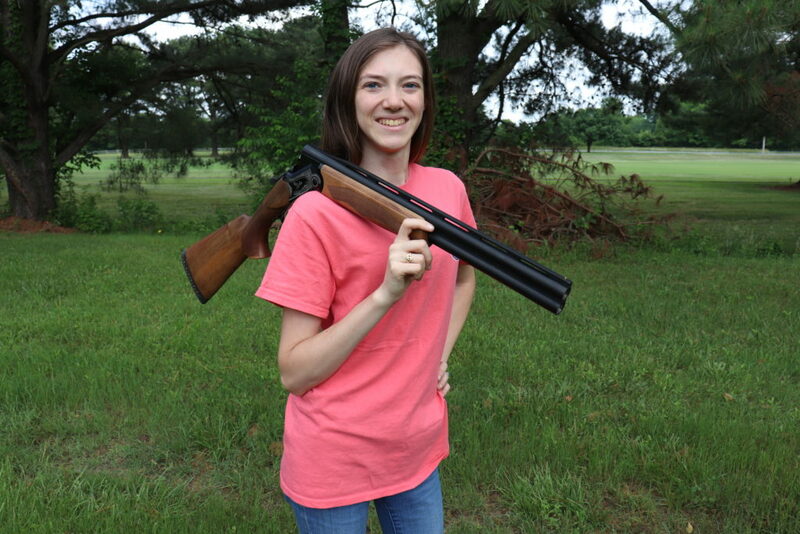 The extensions are 9″ long, turning these 21″ barrels into a full 30″ double barrel shotgun. 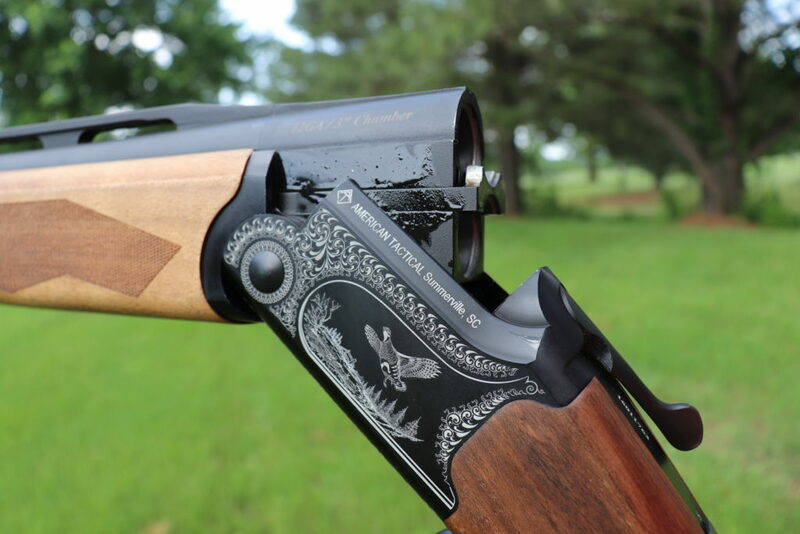 American Tactical engraved an upland hunting scene on both sides of the black receiver and painted it white to make it stand out. It was finally time to take this lovely firearm out to the range. Loading some target load shells into the chambers, I shouldered the stock and squeezed the trigger on the Turkey Fowl for the first time. Using the barrel selector, I switched to the lower barrel, lined up the bead with the center of the pattern board and fired the second barrel. The recoil was a lot more than I was used to, but I expected that. The Turkey Fowl is the first over/under I’ve ever shot, but let me just say that those short barrels make it very easy to transport and maneuver through the woods. I usually worry about hitting the barrel on tree trunks and limbs while chasing turkeys through the woods, but this gun is short enough that I can shoulder, swing, and move much easier than most shotguns I use. 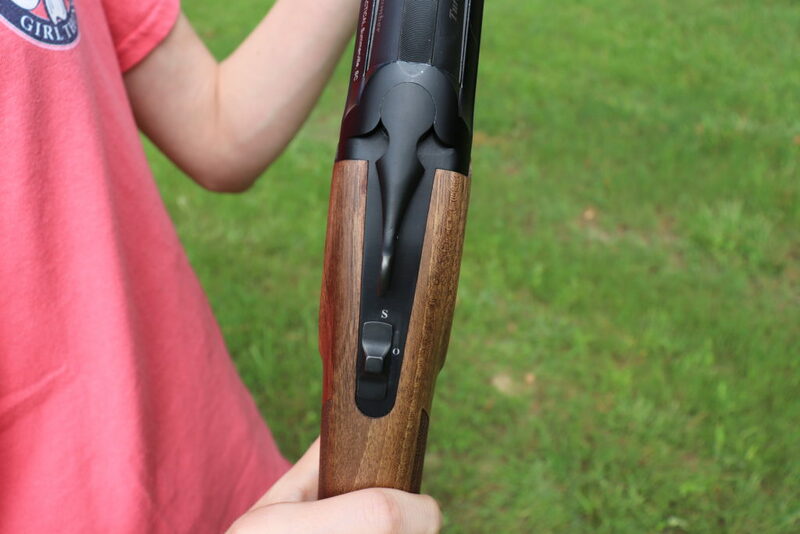 Most over/under shotguns have a nice smooth break when you go to open them. I’m not sure if the Turkey Fowl is just meant to be stiff or if this particular one is stiffer than usual, but it takes a little extra muscle to open her up. I took a bit of firearm lube from Accuracy Performance, & Function, Inc. to help loosen up the action, and now it’s a lot easier to work.After firing your shells and you break the action open, don’t be surprised that the shells don’t come flying out. There are extractors for both barrels, but no ejectors. 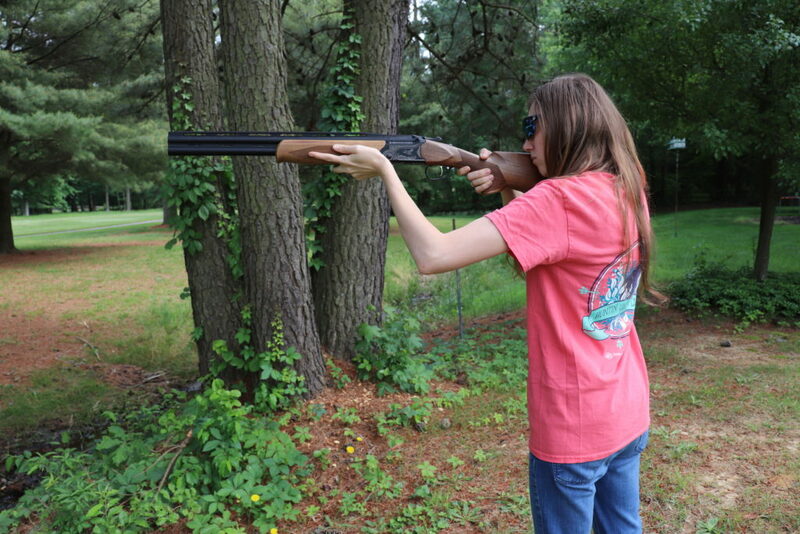 Whether I’m out hunting, at the range, or trying my hand at sporting clays, I always try to pick up my shells. Without ejectors in the action, it allows me to take the shells out myself instead of bending over to pick them up off the ground. If you don’t mind the extra step of removing the empty shells, the Turkey Fowl is a great little shotgun. Choke tubes are super easy to find because American Tactical uses the same thread pattern as Benelli and Beretta. The 9″ barrel extensions are no longer included with the Turkey Fowl, however you can purchase them and I suggest you do. Who doesn’t love having more options? I really enjoy the versatility of switching between 21″ and 30″ barrels to suit whichever activity I was participating in at that moment.